Documenting 4,000 years of sacred and secular history, comprising over 1,800 pages and standing as the No. 1 most read book of all time, the King James Version of the Bible celebrates its 400th anniversary this year. Today, the Bible—including its extensive number of translations—is used worldwide. Rich in history, doctrine, stories, sermons and testimonies, its ultimate focus is on Jesus Christ and His physical and spiritual message to Heavenly Father’s children. “Tens of millions of individuals have come to a faith in God and in Jesus Christ through seeking truth in the Holy Bible,” Elder Ballard said in his talk. Even the Church of Jesus Christ of Latter-day Saints was begun after a young boy, Joseph Smith Jr., knelt in humble prayer after searching the Bible, seeking the true church. Today, the Bible has been translated into thousands of languages, while hundreds of religions are founded upon it. But how exactly did a book with such astounding impact arise? It began, as many revolutions do, with bloodshed. Violence between religious denominations, including a rising number of martyrs within both Catholic and Protestant sects, prepared the way for religious tolerance. Immediately after James became King in 1603, he was petitioned by Puritans for religious reform. 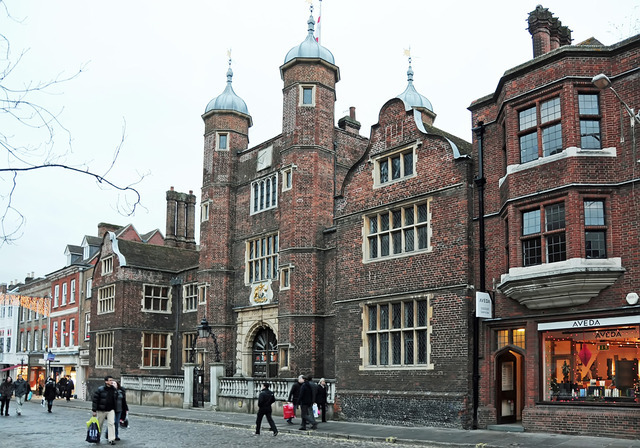 After organizing the three-day Hampton Court Conference, King James’ ear was caught by the impromptu suggestion of John Reynolds, a leading Puritan and president of Corpus Christi College, that there be a new Bible. Most of the other participants opposed another translation, but James was taken with the idea: he wanted a Bible that would create no offense. This was to be the greatest contribution of his reign. Caring enough to ensure its excellence, within one month, James, who was himself a Bible scholar, had drafted a detailed plan outlining how the work was to be accomplished. Carefully choosing 54 translators—a mix of Anglicans and Puritans, high and low churchmen, clergy and laity, theologians and linguists—they began work in six groups divided between three colleges: two at Oxford, two at Cambridge and two at Westminster. Each group was given a different section to translate. These men were some of the brightest and best, including the Lancelot Andrewes, Dean of Westminster who was himself a master of over 15 languages; George Abbot, the Archbishop of Canterbury; Arthur Lake and James Montague, Bishops of Bath and Wells; and others skilled in Hebrew, Greek, Latin, French, Italian and Spanish. Over 54 men were appointed to work on the Bible, several of which died before its completion in 1611. Most translators gave their work at a considerable sacrifice to themselves. With years of perpetual isolation and little financial remuneration, these men were able to revise thoroughly, and eventually produce the flowing verses of the Bible we read today. Their original charge was to revise the Bishop’s Bible, rather than re-translate from the original. But they did much more than that. They didn’t merely correct the translation, but painstakingly consulted every scholarly work currently available, including Tyndale’s, Coverdale’s and the Geneva Bible. Afterwards, the entire work was revised at least once. The King James Version, as completed in 1611, included never-before-seen chapter summaries, numbered chapters and verses, a table of contents, an almanac, genealogical charts and a map of Cataan. It did not include any controversial notes, at King James’ request; he wanted the scriptures to speak for themselves. 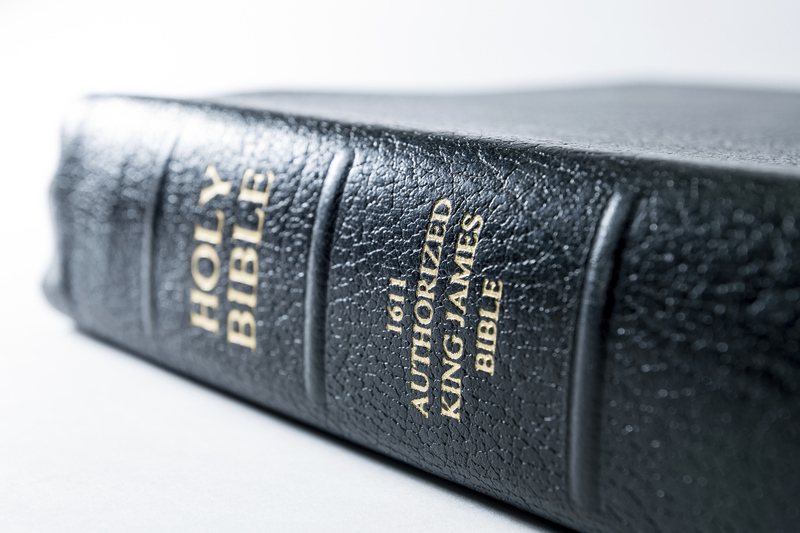 Inspiring freedom of religion in the United States and elsewhere, the King James Version of the Bible has had an insurmountable impact on our society today. While many additional versions of the Bible have been formulated since, they have a tendency to alter and delete many precious truths found therein. As a consequence, they have lost the support of ancient manuscripts to back them up. The King James Version does not have this problem. “Compare James 1 and 5 in the King James to Tyndale’s work. This is the verse that started the Restoration,” Mays said. The Bible has become an influence to millions of individuals on the earth today. Even some phrases of modern speech have arisen from expressions in the Bible. The next time you hear “an eye for an eye,” “signs of the times,” “a pearl of great price” or “a labor of love,” check the Bible, where you’re to find an exquisite masterpiece containing the very same words. 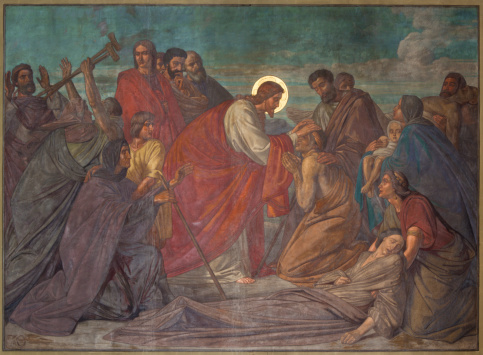 As one of many celebrations for its 400th year, the Religious Studies Center at Brigham Young University will sponsor an academic symposium on the role of the King James translation in the Restoration of the gospel. Speakers will examine the role of the Bible in America in the days of Joseph Smith and the specific contributions of the King James translation to the Latter-day Saint Church. It will be held in the Harold B. Lee Library Auditorium on Wednesday and Thursday, February 23 and 24 from 1 p.m. to 5 p.m. An additional symposium will be held at the LDS Conference Center in Salt Lake City on the February 25 from 7 p.m. to 9 p.m. Presenters will include Daniel L. Belnap, Robert L. Millet and John S. Tanner, among others. “I am convinced that many folks love the Bible and will find this wonderfully educational and faith-promoting. Others will be surprised at how deeply convicted LDS doctrine is to the preservation, dissemination and upholding of the Bible. It is not a weak step-sister to the Holy Bible but rather an equal member of our scriptural family, worthy of careful reading and consideration,” Bennett said. Additional information on the King James Bible and upcoming celebratory events can be found at www.KingJamesBibleTrust.org.